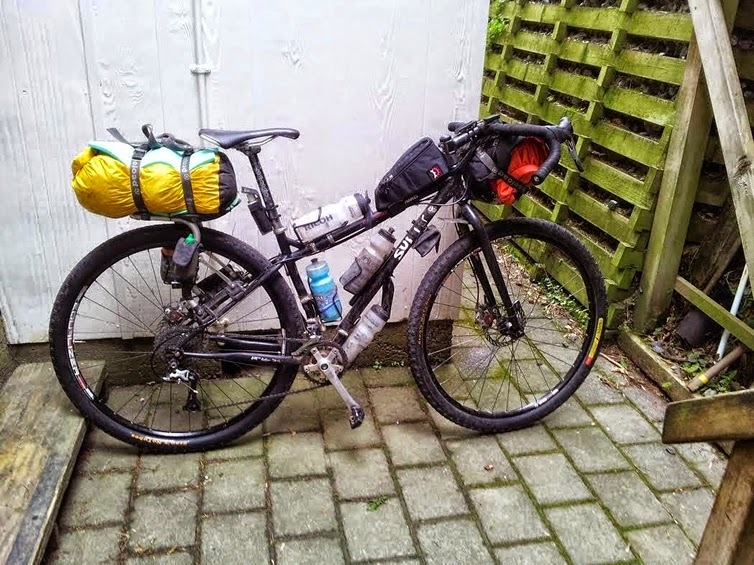 In 2016 a 3000km dirt brevet called Tour Aotearoa will be held for the length of our country, New Zealand, and like many others I will be looking at what gear I will take, and how I will carry it. Luckily NZ has been the testing ground for a fair bit of outdoor equipment, and we even make a few items of our own. Two of these items will be the subject of my review. The THULE Pack n Pedal rack (previously known as the Freeload), and the StealthBikeBags seat bag. These two items come from completely opposite ends of the spectrum and as I have found offer very differing advantages and disadvantages. 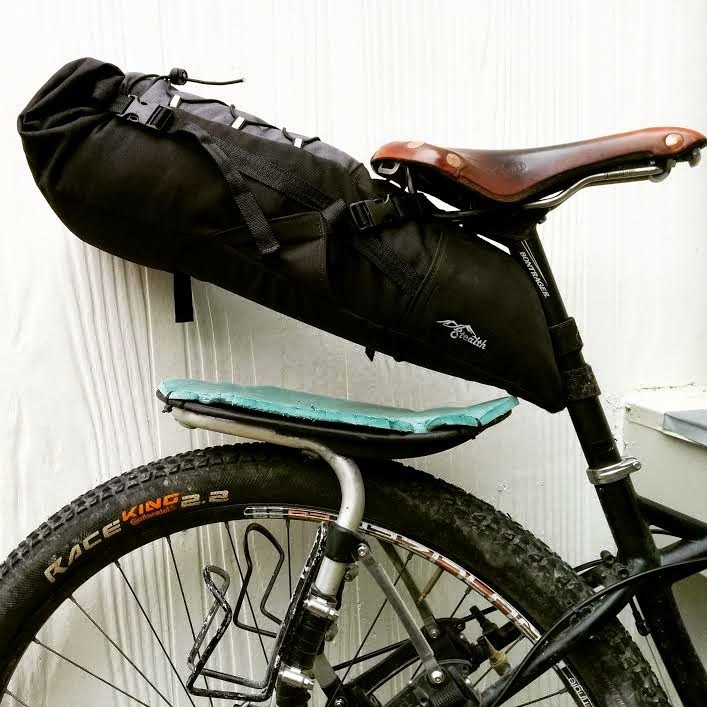 While this review focuses on the pros and cons of these particular items, you will find that a large percentage of the outcomes can be applied to many other brands of seat bags and racks. 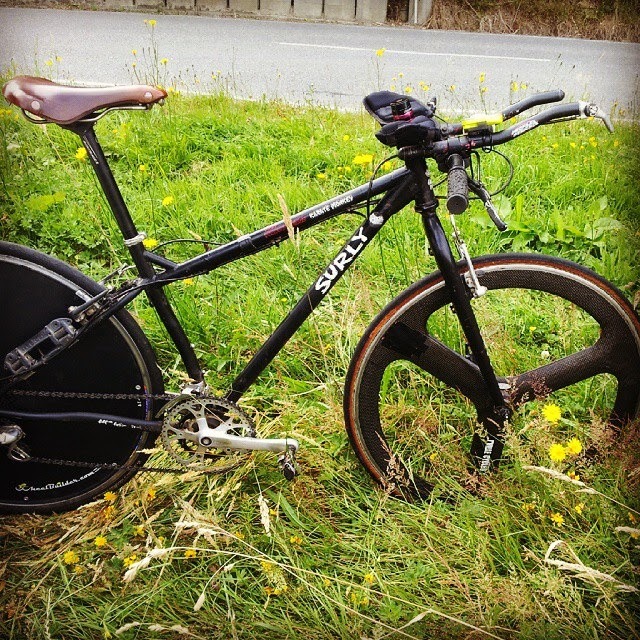 The THULE was designed and initially built by the Freeload guys in Dunedin New Zealand and surfaced in time for the first 1100 kilometre Kiwi Brevet in 2010. I was one of the many riders using them in what was essentially their first production test in the wild. The advantage of this rack is that it can attach to the seat stays of a full suspension bike, or a front fork: suspended or rigid. There are very few scenarios it is not compatible with. 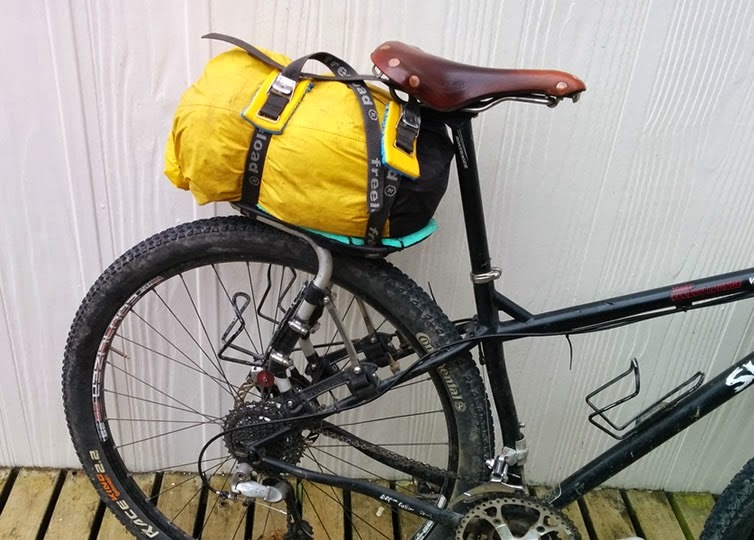 It is generally used with a dry bag strapped onto it, if you are using the sport model, but there is also a more touring oriented deck that can be used with add-ons for pannier bags. This review just looks at the sport model. 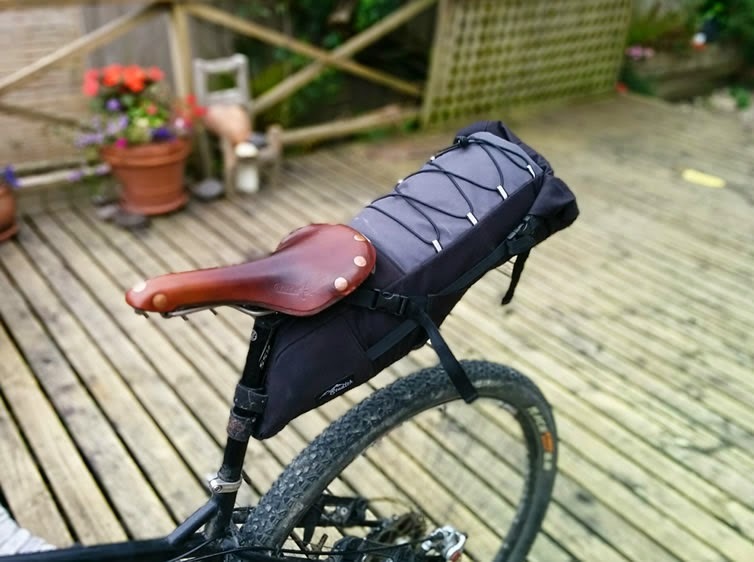 The Stealth seat-bag is the product of Michael Trudgen from Eastbourne Wellington and is a typical seat-bag in the style of the Revelate Viscacha, Apidura saddle-pack or Porcelain Rocket Booster Rocket Seat-Pack. It attaches via two Velcro straps around the seat-post and via webbing belts with clasps through the saddle rails. It is constructed from 600D Kodra plus with a plastic stiffener inside. 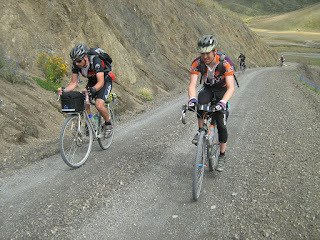 A Freeload Rack in use on the notorious Port Underwood in the inaugral Kiwi Brevet . Image Caleb Smith. Comparing Stealth to Revelate for depth and length. While made of waterproofed materials the seams on the Stealth bag are not sealed which is the case for most seat-bags. Some bags have a higher inherent level of waterproofing than others, but generally you are advised to use a dry-bag inside them for 100% water tightness. Obviously you need to use a dry-bag as well on the THULE. THULE. You are slightly more likely to find your legs kissing the front edge of your dry-bag using the THULE than you are using the Stealth which has a very narrow profile. Funnily enough, despite the height of the Stealth I did not come into contact with it when hanging off the back of my saddle in technical riding, whereas with the THULE I could feel the dry-bag brushing against the inside of my thighs in this scenario. Despite this, I would not say that this is an issue in any way. One is good, the other is better. Comparatively speaking, attaching the Stealth is pretty much a doddle, although I found a technique which makes it even easier. If the bike is hanging vertically from a hook (ok, this is only relevant for commuting and you have a hook at your house) you can attach the seat-post velcros first, and then loop the belts through the seat rails and crank up the clasps. If the bike is horizontal you have to wrangle the weight of the Seat-pack as you try to thread through the clasps and attach them. This is not an issue if the seat bag is not packed at this time. It's the packed weight that makes it difficult. You can pack it while it is attached, or pack it while is off the bike. A Freeload rack ready to build up. The THULE Pack n Pedal, well, I would have to say this is it's Achilles heel and possibly puts a lot of people off. The first time you assemble one of these things, it might take you 30 to 50 mins, screwing all the bits together. Actually there are only 6 screws but there is some threading of webbing too. This is a one-off operation though. Mounting it to the actual bike might take you 15 to 30 mins the first time. The ratcheting system is very very good, and anyone that breaks one has to be incredibly ham-fisted (and very strong) or turning it in the wrong direction with a hell of a lot of force and a distinct lack of mechanical empathy. Rack mounts left on for racing. Removing the Stealth is as simple as undoing two Velcros and two clasps. Removing the THULE is another story. Understand that you would only want to remove your THULE at the end of a tour or to lend to a buddy, or to put it on another bike. Most of the time I actually leave the black plastic ratchet mounts on, and just remove from the stainless steel struts up. The THULE pack n Pedal comes with a dinky little tool for deactivating the ratchet for taking it off the bike. I don't bother with the tool but instead use a small flat headed screw driver. 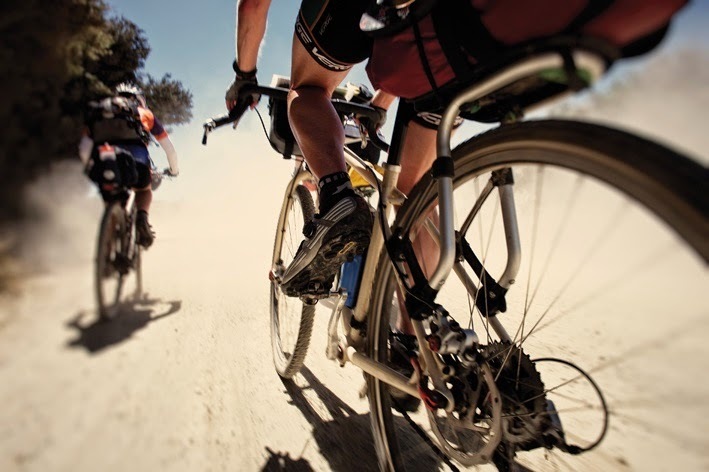 If you do lots of riding in pumicy, gritty or sandy conditions the grit can get in the webbing and can make un-winding it a tedious process. The screw-driver also comes in handy here for picking out the webbing. This sounds like a fuss, and compared to a "normal" rack, it is. But this is not a normal rack. 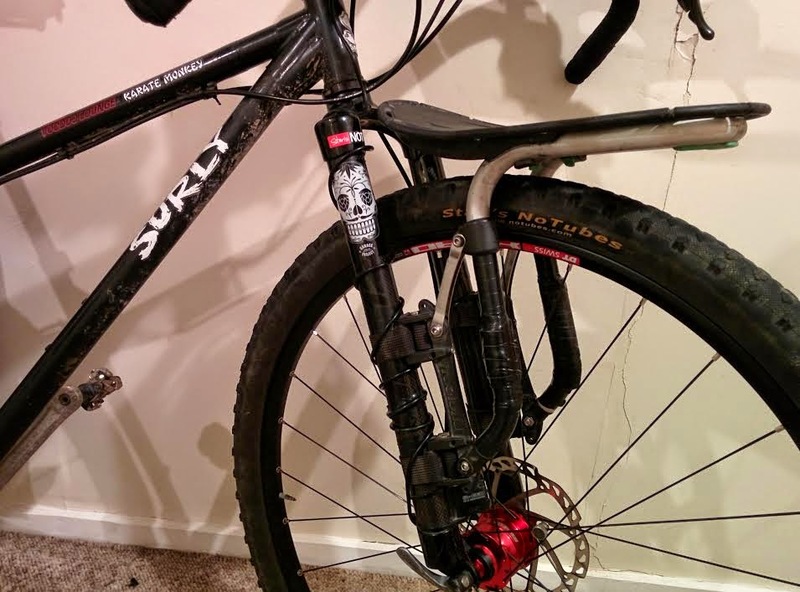 You cannot mount most normal racks to a full suspension bike or to a front fork. If you only ever intend to buy one rack, for all of your bikes, this is it. Toting two racks on the Team RTD tandem. The Stealth is a pretty normal seat bag in most respects and packs that way. It is useful to pack the lower wedge of the bag with something quite compressible which helps give the bag rigidity. The opening to the Stealth bag is a lot narrower than other similar bags on the market but it makes up for it by being longer and skinnier with much better wheel clearance. You have to make the decision on your packing approach. To try to jam a pre-packed dry-bag into the seat-bag, or to put the dry-bag into the seat-bag and pack from there. Probably best that way. An another approach might be to forget about the dry-bag and have an external rain cover. That is not a feature of the Stealth bag at this point. Packing the THULE is as simple as strapping your dry-bag onto the rack, but even there you need to take care. If you have pointy or hard items in your dry-bag you best have them well wrapped so that pressure from your straps does not wear a hole in your dry-bag. I have an old piece of camping mat zip-tied to the rack so that a full day of off road hammering does not rub a hole into the bag. The amount of kit I used for testing. Sleeping kit plus tool kit, hat and wind breaker. The Stealth bag, like most seat bags has good quick "un-click and roll-back" access in comparison to a dry-bag which is strapped to a rack. 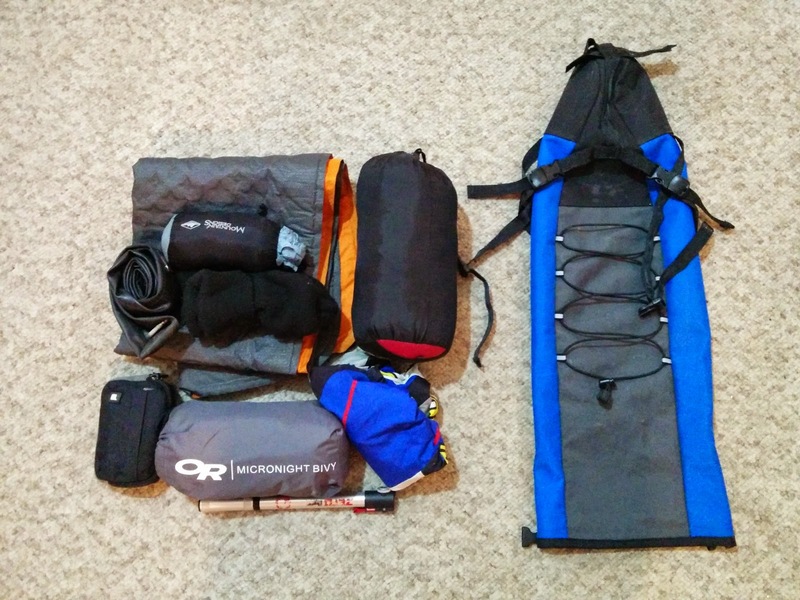 It will always be a bit more hassle to un-cinch a dry bag on a rack and then re-set it. The speed at which you can access your goods determines the nature of the goods within. The narrowness of the Stealth bag makes it easy to compress the contents quite a bit before even calling on the compression straps. Compression in the THULE scenario comes down fully to what kind of a dry-bag you use and if it is one of the compressible kind. While weight is an issue in Bikepacking so is bulk. You don't really want a big fluffy mess hanging off the back of your bike. The workmanship in the Stealth bag is impressive and the material appears very robust. The proof of the pudding in the design of the THULE rack is that it has remained unchanged since its launch in 2009. The chunky look to this rack may put a few people off, and I often say "simple is always better" but I have to say, the THULE/Freeload racks are bulletproof. 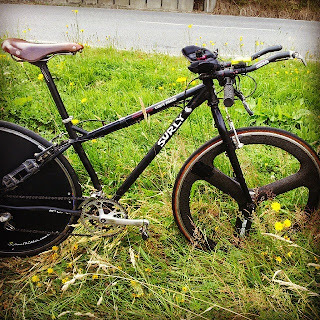 I have actually sat on mine in order to be more aero on a long downhill stretch and it felt rock solid. The generation 2 Stealth bag with deeper cross-section. Still heaps of tire clearance but with one larger seat-post velcro instead of two. When you first try a seat-bag there is a that little tail-wag thing that you notice, and then don't notice again too much, until A. You drop into a sharp corner at speed, or B, you take the bag off and on your first ride you notice you don't have to compensate for it. Its just something that you adapt to very quickly and the Stealth bag feels pretty much the same as the Revelate Viscacha. The THULE is different again. The feeling is there, but its a more solid feel. No wag as such, but a definite rear weight bias that takes a bit of compensation until you don't notice it anymore. It’s the same with the Stealth although the Stealth’s weight is higher, but not by as much as you might think. Check out the image with the rack and the bag on the bike at the same time. I think most people would agree that having the weight down lower is more desirable. Something that you will likely experience is the "settling" of your "kit". 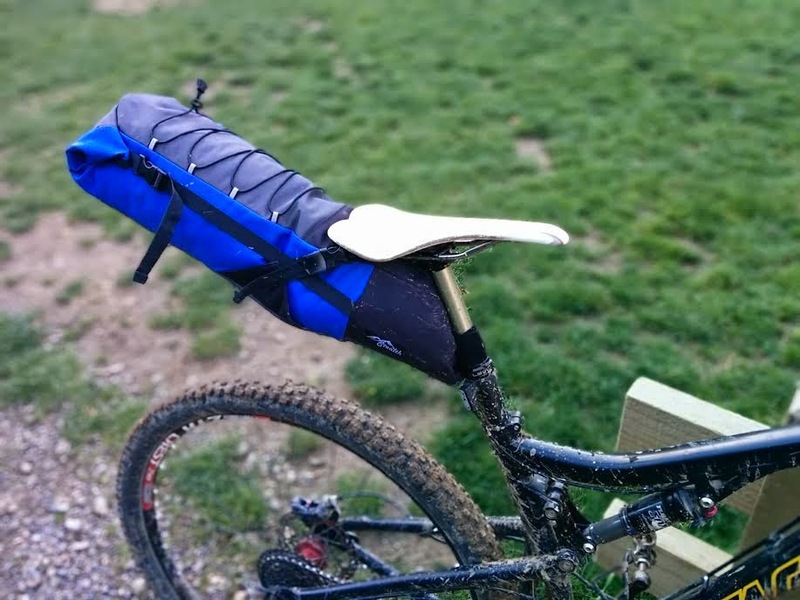 Whether its a seat-bag or a dry-bag on a rack. Sometimes, depending on the terrain you may need to stop and give the straps a tweak. In a seat bag it will likely be the straps that go through the seat rails; in a rack set-up it will just be the straps holding the dry-bag on the rack. In the case of the THULE, I recommend installing your rack well in advance of your trip and give it some good testing, maybe even deliberately wet the webbing of the mounts. Check that there is not another "click" available in the ratchet after some big rides and those mounts will not move again until you go to take the rack off. This is a tricky one. Both these systems work exceptionally well on rough terrain with pros and cons. When on a full suspension bike you need to check that your seat bag has room when you bottom out on the rear. Too little room and your bag will let out a loud "zub" as the rear wheel starts to rub a hole in the bag's bottom. In a similar but opposite scenario with the THULE, the dry-bag may come into contact with the underside of your seat. Not a real problem unless you have something brittle in there. On a hard tail, with the THULE, there are no problems, with the Stealth you should have no problems either. For some people the early model Stealth bag was prone to slippage with aggressive riding on rough terrain. The new cammed clasps fix this and are a free upgrade if you send your bag back to Michael. The very narrow design of the Stealth bag gives it more wheel clearance than any other bag I have yet seen. If you ride a small 29er you will want a decent amount of clearance for your wheel. The Stealth seat-bag looks very simple compared to the THULE Pack n Pedal. The Stealth has a plastic stiffener inserted in its base to help with rigidity. You need to be aware of this when packing this bag, as it is possible to push aside the velcro responsible for keeping the stiffener in place. If you know about it, it shouldn't happen. I believe later models have a tweak to stop this. I've mentioned the complicated look of the THULE Pack n Pedal before, but I've have never had a bolt unwind on any of mine since 2010, so while it does look complex, the engineering behind it really does seem to stand up to the job. Bear in mind that I am talking about the Sport version of this rack as I have not had extensive experience with the Tour rack running Panniers. See my first unboxing and installing of my rack here in 2010. The Stealth bag will fit on any bike with 100mm of exposed seat post available, due to its narrow style of construction. This is a boon to people with short legs. By comparison the Revelate bag requires 127mm of seatpost. So far I have managed to fit the THULE Pack N Pedal on all of the bikes I have ever tried to fit it on. 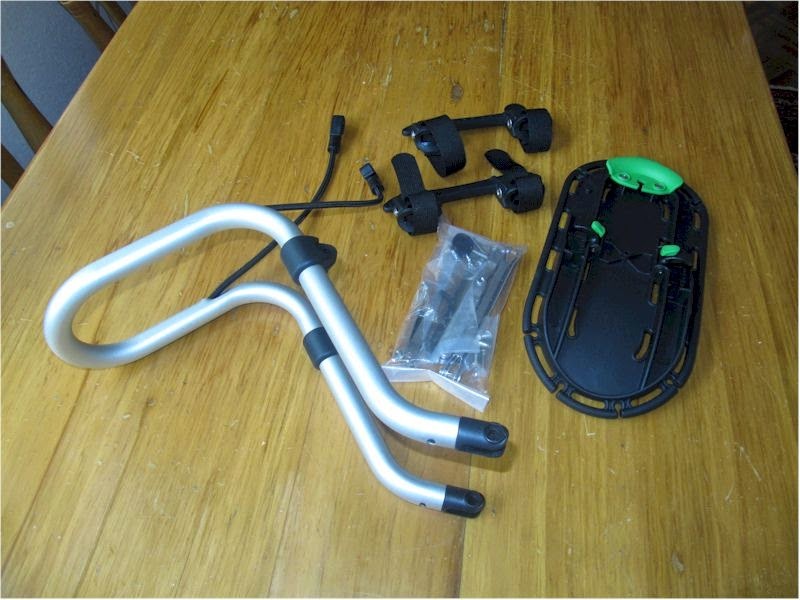 It has 3 different sized steel struts with sliding ends so it is very adjustable. Sometimes people stress about disc cable/hose routes but I just push them to the side if they are ever in the way. The ride feels a bit harsher on the really rough stuff with the THULE Rack on, as it feels like the weight of the rack's load is going directly to the wheels. With the seat-bag option I feel like the load is a bit more suspended and it feels a bit more smooth. Stealth bag, 430 grams, not including dry bag. 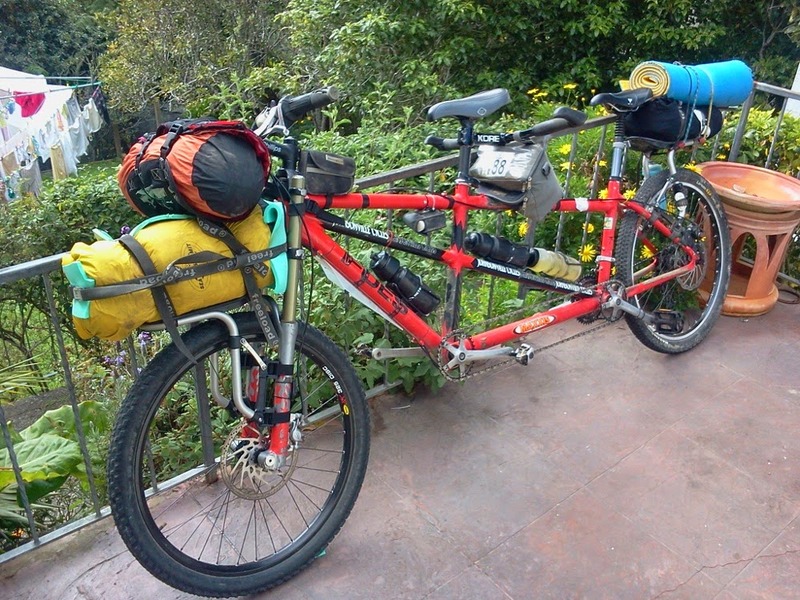 I always assumed that the THULE/Freeload racks must be heavy, and that is why the Bikepacking crowd in the US hadn't warmed to them so much, but a recent look at the website for the OMM (Old man mountain) racks shows this not to be the case. THULE tells us that the sport rack weighs in at 760 grams. So far I have not been able to weigh any of mine accurately to confirm this.The lightest of the OMM racks is 750grams with the others coming in at 900 or 1000 grams. An important thing that I have just realised is that although the Pack n Pedal is relatively light, it will not let you run panniers in that mode, unlike a normal rack. You would have to install the special side-racks to the touring model version, which would add another 430 grams I believe. Kiwi Brevet 2014 set-up. Set and forget. The fat alloy tubes used in the THULE Pack n Pedal are very useful and well angled for attaching stretchy mount rear lights and also water bottle cages attach easily with a couple of radiator hose-clips, presuming you are not concerned with more rearward weight on you bike. The Stealth bag has provision for maybe a rain jacket or banana under its crossed elasticated straps on the top of the bag. 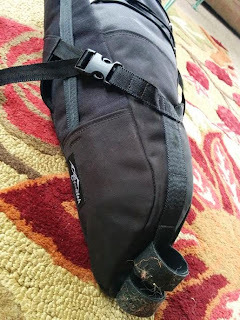 I found both systems great for commuting, the only issues are covered above in ease of attachment, assuming you unclip the Stealth bag, or unstrap your dry bag using the THULE option. At the bottom of Serendipity after a balls-out loaded run. For the THULE Pack n Pedal (Freeload) I have to declare I have used this system three times in New Zealand's 1100 kilometre Kiwi Brevet. Twice on a 26er fully, and once on a drop-barred rigid 29er. I also subjected it to my new local "accelerated bike-bag test course" which is a route I often take on the way to work. It's is a 3.1 km winding downhill course with many tight turns, some roots, a drop and some G-outs, depending on how fast you are going. I went as fast as I could, on each run, on a half-loaded bike. The course takes in the Transient and Serendipity Trails in the Polhil Aro Valley area. I did many runs on my rigid drop-barred Karate Monkey with both systems. Apart from 2 weeks of 20kms each way commuting, and a couple of long gravel grinds this was the extent of the testing I did on the Stealth bag which I borrowed off a friend who had just finished this years Kiwi Brevet with it. If Strava can be trusted, and I don't believe it can, the difference between both systems was about 15 seconds over around 12 minutes. Not a margin large enough to say if it was real in my view. If I was just tootling up and down the River Trails I would not have learned much at all about these systems. Anything will work in that environment. Both of these set-ups do the same thing, but are coming from completely different angles. The organised bikepacking I've done in NZ always has some fairly rugged stretches in it. You don't want to find yourself coming up short with broken kit. Both of these Kiwi designed systems will do the job very well, whether you are commuting to work or going all-out into the boonies. They are also systems that have a very high level of compatibility. By this I mean they will fit on 93% of bikes out there. The THULE because of its adjustability and the Stealth bag because of the narrow cross-section which gives superior wheel clearance for shorter riders. This kit was collected by various means. 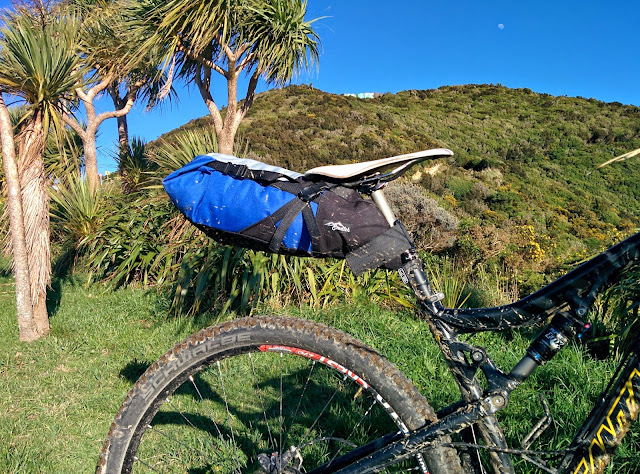 Initially I borrowed a Stealth bag from a recent Kiwi Brevet rider, and then spoke to Michael himself at Stealthbikebags. He loaned me two bags for further evaluation. I also borrowed a Revelate bag from another rider for comparison and used my own Freeload racks for the other part of the testing. 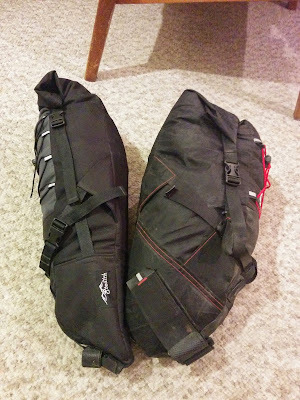 I also tested some pannier bags from Stealth bags as well in conjunction with the THULE touring deck and sides. I was very impressed with the way these worked but that's another story. Michael can custom build pretty much anything you need and is always keen on feedback so he can develop his designs further, quicker.